Dubai, UAE, 16 November, 2012: Mohammed Al Balooshi has launched his bid to win the Arab Motocross Championship in blistering style this afternoon, having won the first of two races at the DMX Motocross track in Jebel Ali under the watchful eye of the event’s supporter and patron H.H. Sheikh Mansoor bin Mohammed bin Rashid Al Maktoum. Vying to be the winner of the championship on home soil for the first time, Al Balooshi pulled away with ease from the 27-man field, completing 11 laps of the 1,600m track with a time of 21 minutes and 55 seconds. “It was a big field out there but I am really happy with the way I’m riding at the moment and am really confident going into the second race,” said Al Balooshi. 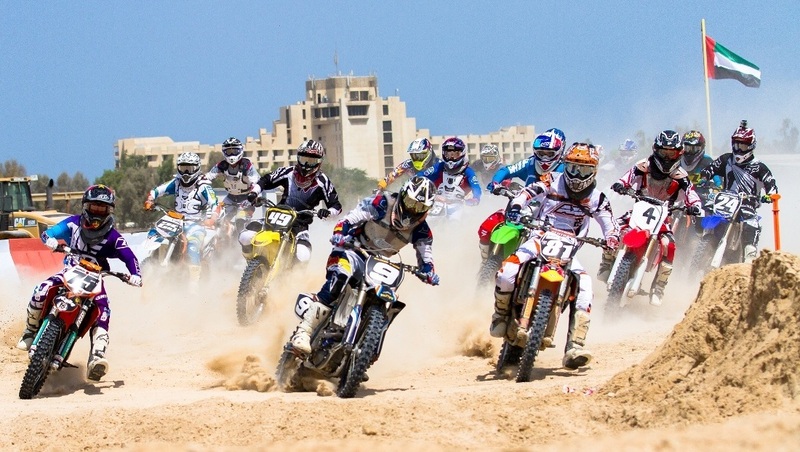 Taking place in UAE for the first time, the Arab Motocross Championship is organised by the Automobile and Touring Club of the UAE (ATCUAE). 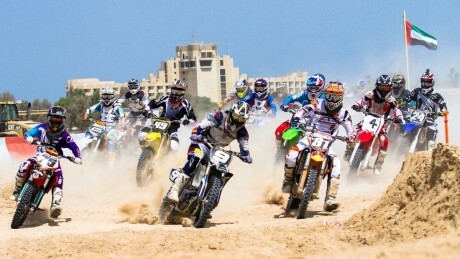 The event has attracted a record line-up of top riders from eight Middle East countries competing across two bike categories (MX1 and MX2) and one pro quad bike category, with all categories contesting two races each. Earlier today, Emirati Mansoor Salem won the first race of pro quad bike category, beating a seven-man field, while Mohammed Jafar from Kuwait was the fastest rider in the MX2 category. Al Balooshi was top of the MX1 category. With three more races to come this afternoon for each category, the stage is set for a thrilling finale to what has been a highly successful championship. The Arab Motocross Championship 2012 is the first competitive racing series of the Arab Motorcycle Federation (AMF) following its overhaul in August this year at its Riyadh headquarters in Saudi Arabia – a move driven by the Union of Arab National Olympic Committees to take competitive bike racing in the Middle East to the next level. Designed by Sean Gaugain at Gecko Motorcycles, the DMX Motocross Track has so far provided scintillating action for both riders and spectators alike, with a series of manmade table tops, step ups, whoops, drop offs, rhythm sections and doubles challenging the best pro riders that the region has to offer.